The innovative concealed solution from GROHE. 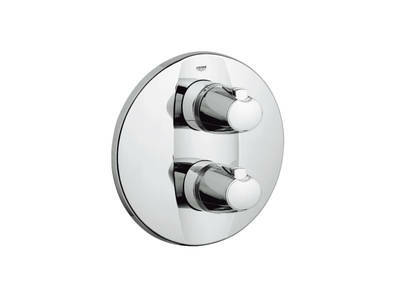 Concealed bath and shower mixers lend a clean, modern look to a bathroom – where only the essential elements are on show. With its shallow installation depth and choice of single lever or thermostatic operation, Rapido is a universal solution that enables you to create your perfect shower. 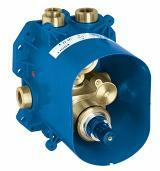 Once installed, the concealed body is completed with a mixer trim set. Available in a wide range of designs to match our tap and shower collections, the trim set can be chosen at a later stage as all designs are compatible with the concealed body. 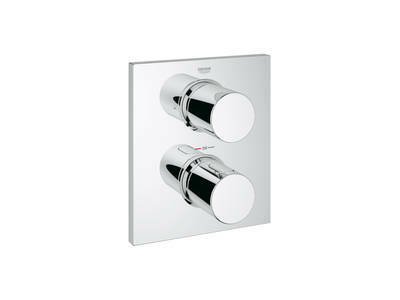 Rapido T is the ultra-flat concealed solution from GROHE. 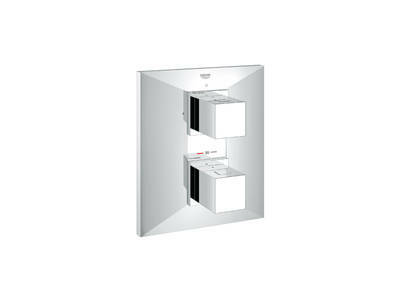 With only 70 mm installation depth it will fit into any wall. Where space is limited, Rapido is the solution. 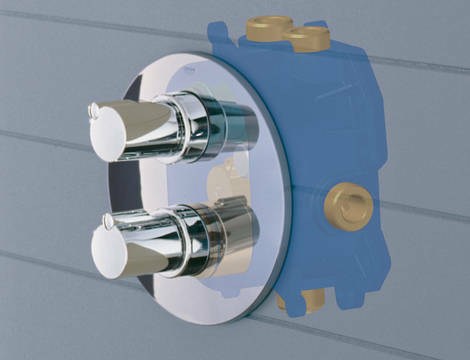 The concealed box comes as a complete ready-to-install unit with coded water inlet and outlet connections. So there’s no chance of it being installed incorrectly. The unit is 100% tested before it leaves our factory to ensure a lifetime of perfect and safe operation. For maximum showering enjoyment, GROHE Rapido T benefits from GROHE TurboStat® technology – for safety, comfort and water efficiency. Thanks to an excellent flow rate of over 50 litres per minute* and a third outlet, Rapido T is also the perfect choice for a custom shower where you wish to install a head shower, hand shower and side showers.